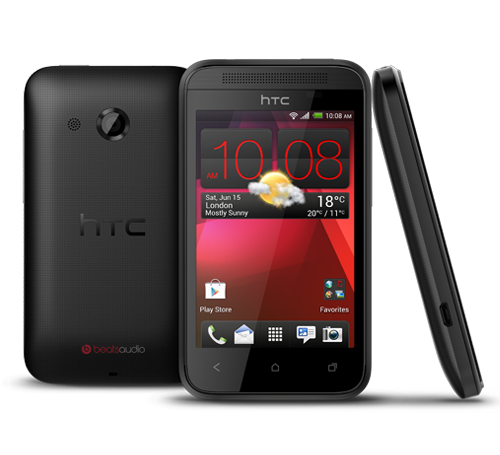 The Desire 200 has appeared on the HTC website today, validating a number of leaks that have emerged over the last week or so. It’s a new, low-end Android smartphone that could potentially replace the Desire C or even the Desire X, which have consistently offered this level of hardware alongside a much smaller display. The device, spotted by Engadget, is petite and rather attractive in its design, taking some cues from its critically acclaimed older brother, the HTC One. The speaker grill fitted just above the display and curved back being a notable case in point. There’s a 3.5-inch HVGA display, although there’s no screen resolution listed yet on the HTC website. It weighs 100 grams in the hand and is powered by a 1GHz Qualcomm Snapdragon S1 processor – the bare minimum needed to take advantage of Android’s most compelling features. The device also comes 512MB of DDR1 RAM and 4GB of internal storage, backed up by a microSD slot for up to 32GB of additional space. 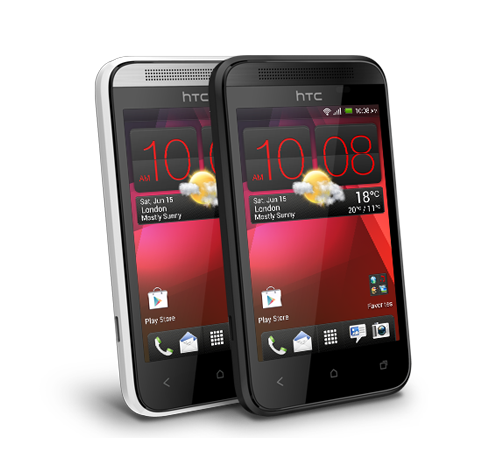 The HTC Desire 200 also runs on an unknown version of Android with Sense, HTC’s custom skin, applied over the top. It’s notable that the screenshots available on the HTC website show the standard Android home screen with the company’s iconic clock widget – there’s no BlinkFeed in sight, which suggests that this is running on an older version of Sense. HTC has rather wisely opted for a 3G modem, cable of hitting HSDPA speeds of up to 7.2Mbps, as well as a 5-megapixel rear-facing camera and 1230 mAh battery for up to 10.9 hours of talk time on GSM. As with almost all HTC devices, it also comes with Beats Audio integration straight out of the box – an advantage or disadvantage, depending on your musical tastes and knowledge of audio levels. Pricing and availability is yet to be disclosed, but the HTC Desire 200 appears to be another eye-catching, if rather unremarkable budget Android smartphone to add to the company’s existing portfolio.